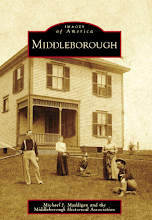 Today, Arcadia Publishing releases Images of America: Middleborough a new pictorial history of Middleborough written by Michael J. Maddigan. 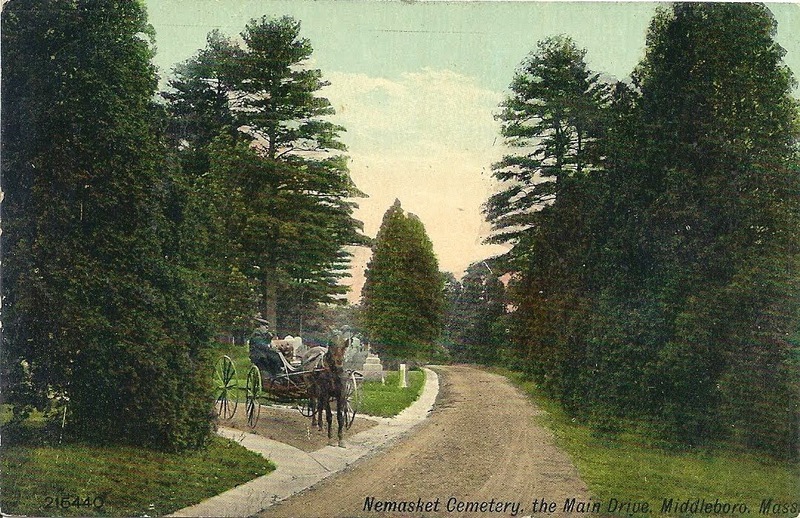 Using historical images from the extensive collections of the Middleborough Historical Association, as well as from town residents, Middleborough explores the town's evolution from its earliest foundation through its mid-19th-century transition from one of southeastern Massachusetts's largest agricultural communities to one of its most industrially productive. Featured as the cover image of Middleborough is a typically American view of a family engaged in watering the lawn and enjoying their yard on what appears to be a spring day. While the image of families in similar situations today have come to epitomize the essence of American suburban family living, such was not the case a century ago when the photograph was taken. 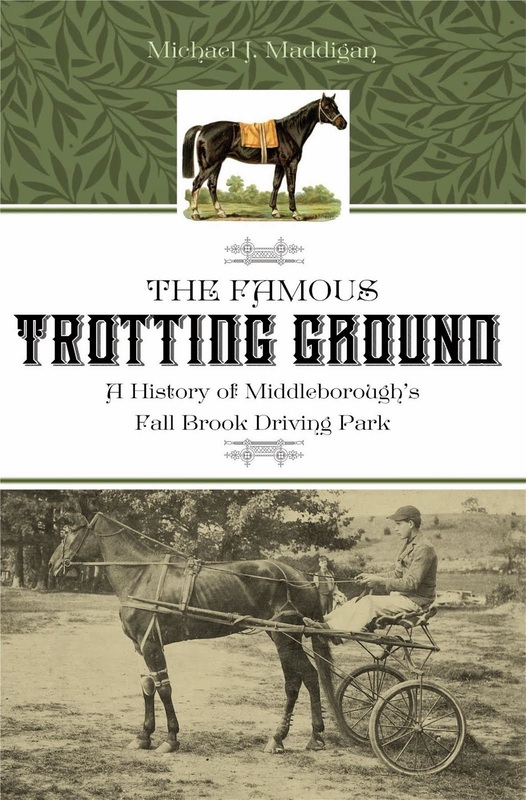 Yet the cover image is nonetheless particularly representative of Middleborough’s history for several trends which it depicts which were important in the town's evolution: the development of an emerging suburban middle class, the assimilation of new ethnic groups, and the transition from an agricultural to an industrial (and later service-based) economy. 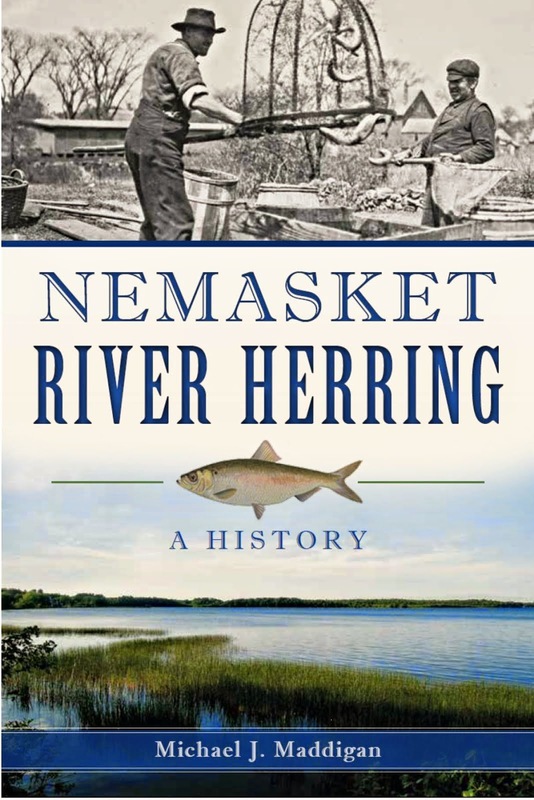 Not only does the cover image represent those historical trends from Middleborough’s 19th century history, but it anticipates the 20th century when these trends would reach fruition. The structure depicted in the cover image is the Sullivan-Moles House which stands at 791 Center Street on the West Side at Lovell Street. 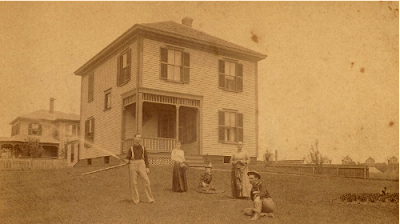 The image clearly shows the newly-built house with what are believed to be members of the Sullivan family posing for the photographer and enjoying the day sometime shortly after 1906. The Sullvan-Moles House was constructed at a time when the West Side was rapidly expanding and developing as a neighborhood of single-family working class homes. 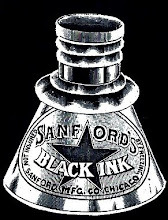 The industries located along Vine and Cambridge Streets, as well as the George E. Keith shoe manufactory on Sumner Avenue required large numbers of workers. Because transportation was limited at the time, workers needed to reside close by their place of employment, a practice which fostered the growth of middle-class neighborhoods like the West Side. On April 5, 1886, Jeremiah Doane of Middleborough acquired the lot of land at the corner of Center Street and “a proposed street to be called Lovell street”, from Eugene P. LeBaron. For years, the LeBaron family had owned a substantial portion of West Side property. On his newly-acquired lot, Doane erected a distinctive “four-square” house with a recessed porch which notably was set back on the lot, leaving a broad front lawn which sloped down towards Center Street. Clearly, the house was intended to have a markedly different appearance than the gable-end workers’ houses which dominated much of the immediate neighborhood. Doane owned the home for only a brief time. 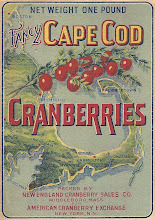 In April, 1890, he sold the property to Margaret Sullivan. The Sullivans were Irish immigrants who overcame the prejuidce typically encountered by immigrant groups throughout the period to achieve a high level of commercial and professional success. Coming from the late-19th Irish working-class milieu of the West Side, John J. Sullivan (believed to be the man in the photograph with the hose), became a prominent newsdealer in Middleborough, for years operating a small news stand on Center Street immediately adjacent to the Middleborough Savings Bank Building. Even more successful was his brother, Dennis (likely the young man sitting on the lawn) who trained as a lawyer and ultimately served as Associate Justice of the Plymouth Fourth District Court. (His own son, John V. Sullivan, would also serve as a judge, being named to the Massachusetts Superior Court in 1944). In 1919, the Sullivans sold the house which has been subsequently owned by Fannie L. Andrews and later her son, Chester S, Mendell (1919-39), and since 1940 by the Moles family. The well-kept house still stands on the corner of Center and Lovell Streets as a reminder of Middleborough in a time of historical transition, when the community was rapidly being remade. 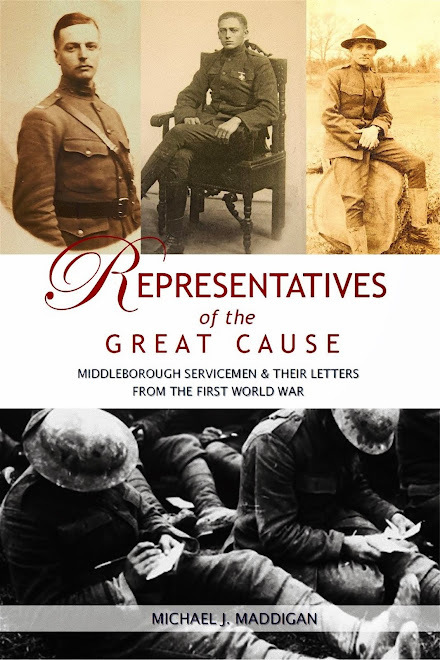 (While the foregoing might appear as a bit of shameless self promotion, please know that all author royalties from the book are donated to the Middleborough Historical Association for the benefit of its programs). 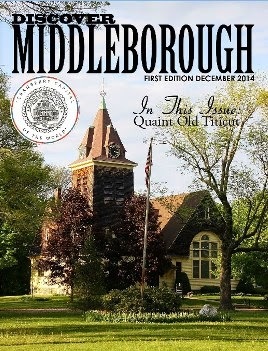 Images of America: Middleborough may be purchased at local outlets. Arcadia Publishing is the leading local history publisher in the United States, with a catalog of more than 5,000 titles in print and hundreds of new titles released every year. Sullivan House with Sullivan Family Members, cabinet view, c. 1906. 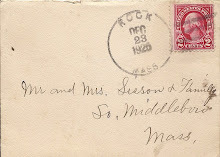 Middleborough Historical Association. The view depicts what are believed to be John J. Sullivan, his sisters Nora and Mary E. Sullivan, mother Margaret Sullivan, and brother Dennis D. Sullivan.